Description: For two years, Brad Jones has flown around his town of Oliver Springs, Tennessee. Friends and family enjoyed seeing the town from an aerial perspective as he shared images on social media. However, this Easter Sunday, someone in town took issue with Jones’ flight. While flying his DJI Inspire 2, Jones hear gunshots nearby. When Jones’ Inspire got closer to where he was, he switched from video mode to photography mode while the drone was hovering. That’s when he heard another gunshot. This time, his drone had been hit. It started falling from the sky. Luckily, no people or property were harmed when the drone landed. Jones’ drone had a bullet hole in the left rear motor. When his drone was shot, Jones initially called 911. He also worked with his local Flight Standards Office to sort out the incident. No criminal charges have been filed against the alleged shooter, and Jones isn’t sure if any action will ultimately be taken. According to attorney David Frankel of dronelawyer.com, it’s unlikely that any federal laws were broken by the man who shot the drone. Frankel says that, while the FAA defines a drone as an aircraft, the definition of the law does not include UAVs in the same group as manned aircraft. Therefore, Frankel concluded, shooting at a drone is not the same as shooting at an airplane. Another part of the problem Jones faces is the difficulty in proving exactly who shot the drone. Jones does have security camera footage from the church his drone was flying near when it was hit and he thinks he knows who did it, but the man denies the claim. So what should drone pilots do when in this situation? Frankel said following Jones’ lead is a good start. Frankel noted it’s hard to predict the future when it comes to possible regulations that may be enacted to prevent cases like Jones’. He notes that drone pilots should do whatever they can to promote being a good neighbor and educating those around you about drones. In the meantime, Jones will have to wait and see if the FAA or Tennessee law enforcement can do anything to help him out. Ultimately, the question has been raised once again: who owns the airspace above private property? 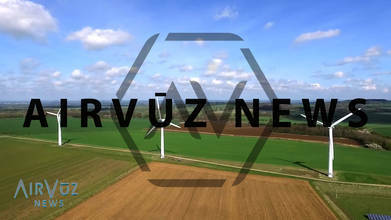 Follow AirVūz News for profiles, in-depth coverage, and updates in the drone community!